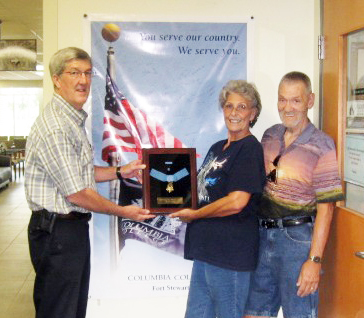 Columbia College–Fort Stewart Director Richard Conroy visited with Janice and Don Pvirre, mother and stepfather of the Army Education Center’s namesake, U.S. Army Sergeant First Class Paul R. Smith, who died defending his country on April 4, 2003, in Baghdad, Iraq, at age 33. Columbia College–Fort Stewart is housed in this facility. The Pvirres toured the center, a 72,000-square-foot building that was completed in 2004. It was dedicated in November 2006. 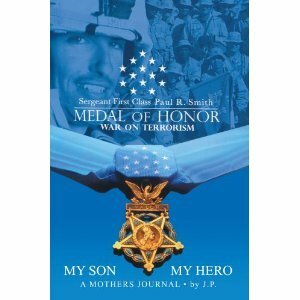 Smith was born in El Paso, Texas, and enlisted in the Army in October 1989. After basic and advanced training at Fort Leonard Wood, Mo., he was deployed in defense of his country in the Persian Gulf War, Bosnia-Herzegovina, Kosovo, and Operation Iraqi Freedom. On April 4, 2005, he was posthumously awarded the Medal of Honor by President George W. Bush. At the time of his death, he was assigned to B Company, 11th Engineer Battalion of the 3rd Infantry Division at Fort Stewart, Ga.
Columbia College is proud to be recognized as a leader in military-friendly education. The Fort Stewart campus will celebrate its 10th anniversary this academic year.